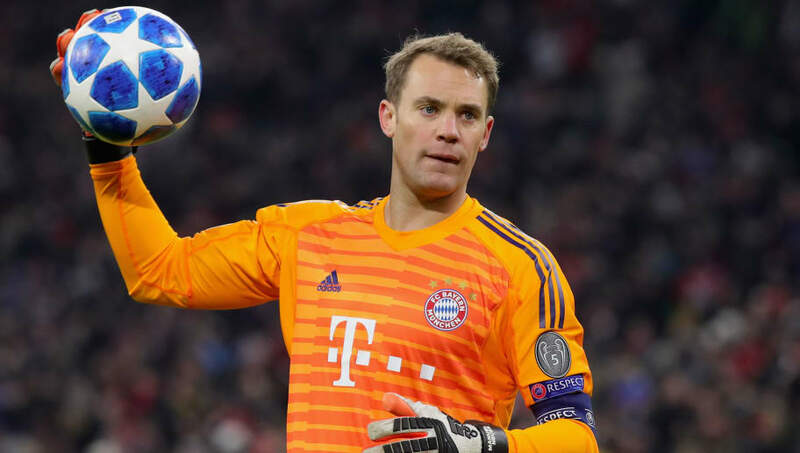 ​Manuel Neuer is probably working hard to invent a time machine, because the last few years have been nothing short of shambolic for the Bayern Munich goalkeeper. In 2014, Neuer finished third in the Ballon d'Or voting and was widely viewed as the finest shot stopper in the world. After joining Bayern in 2011, Neuer helped guide the club to Bundesliga and Champions League glory, and even lifted the World Cup with Germany in 2014. However, his career was put on hold as ​Neuer suffered a fractured food in April 2017. He recovered during the summer, only to suffer a similar injury just weeks after his comeback. He missed a further 37 matches for ​Bayern, and has never been the same since. Joachim Löw kept faith with Neuer in goal, ahead of the likes of Marc-Andre ter Stegen, as Germany crashed out of the World Cup during the summer, and his fortunes in club football sincehave been no better. Bayern have endured a torrid start to the season, and Neuer is undoubtedly a huge reason behind that. Per WhoScored.com (via ​The Guardian), Neuer has saved just 43.8% of the shots-on-target he has faced this season. By contrast, Paris Saint-Germain's ​Gianluigi Buffon has saved over 90% of his shots, and Neuer himself even managed a save rate of almost 80% in 2017. He has made just 14 saves in the ​Bundesliga, whilst he has conceded 17 goals. Bayern's defence has actually been fairly impressive this season, and the team have faced the fewest shots in the entire division, yet Neuer simply cannot be relied upon to save his team when the shots do come through. It seems as though he has forgotten everything he once knew about goalkeeping. Bayern are under intense scrutiny, and Neuer seems unable to handle the pressure. The best teams need reliable goalkeepers if they are to achieve success. Neuer has proven to be unreliable, and Bayern are paying for it. This is not just a temporary drop in form, as Neuer has made 20 competitive appearances this season for his club and a further seven for his country . Manuel Neuer has made 0.82 saves per goal conceded in the Bundesliga so far this season; Nürnberg's Fabian Bredlow is the only goalkeeper to play at least 180 minutes with fewer (0.65). He has been given countless chances to prove himself, but is falling at each and every hurdle. Bayern are showing signs of improvement, but they cannot continue this with Neuer in the side. He could not prevent Germany from crashing out of the World Cup, he could not help his country avoid relegation in the UEFA Nations League, and his abysmal form has turned Bayern into somewhat of a laughing stock. He gave Bayern several years of glory, but it is time for Neuer to move on. It is likely too soon for 18-year-old Christian Fruchtl to step into the first-team, so Bayern must enter the transfer market. ​Manchester United's ​David De Gea and Atletico Madrid's Jan Oblak could be available for big money, or they could even opt for Yann Sommer, Alexander Schwolow or 21-year-old Florian Muller, who have all impressed in the Bundesliga this season. Bayern need a dependable goalkeeper, and Neuer is not that. It is time for him to leave the club, before Bayern's season - and Neuer's reputation - become irreparably damaged.